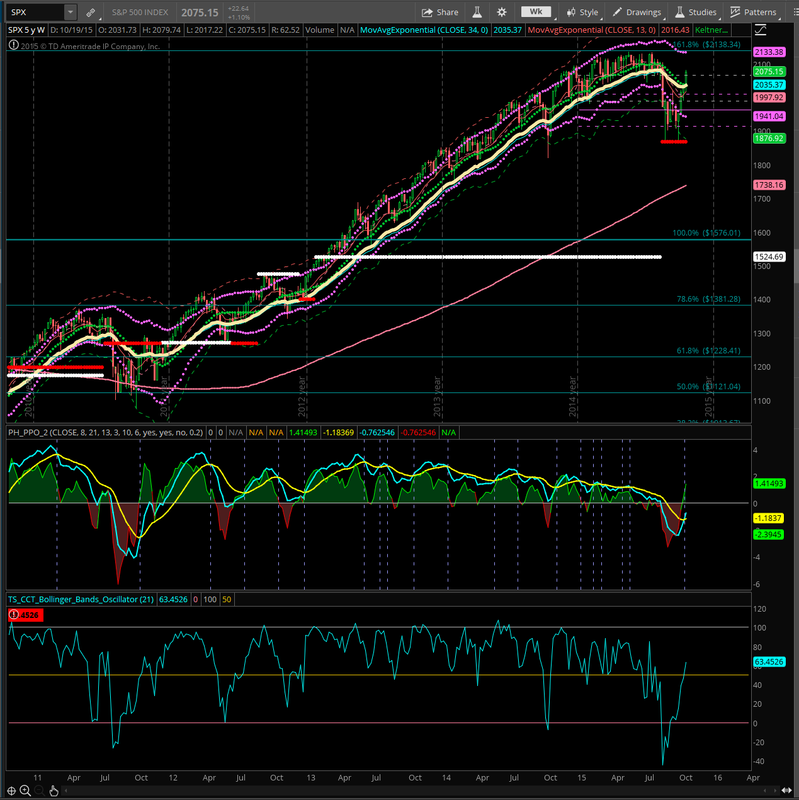 The S&P 500 weekly has staged a massive rally and a possible buy signal on oscillators. If support forms near 2033, the market may retest 2133, while a breach of that level could retest 1941. 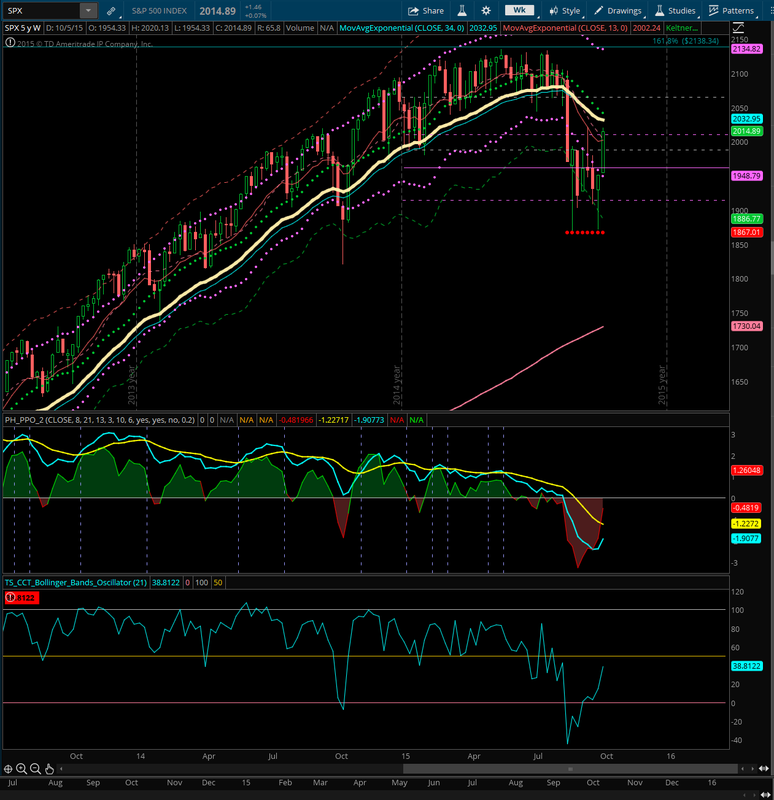 The S&P 500 weekly is showing a close near the Keltner average. 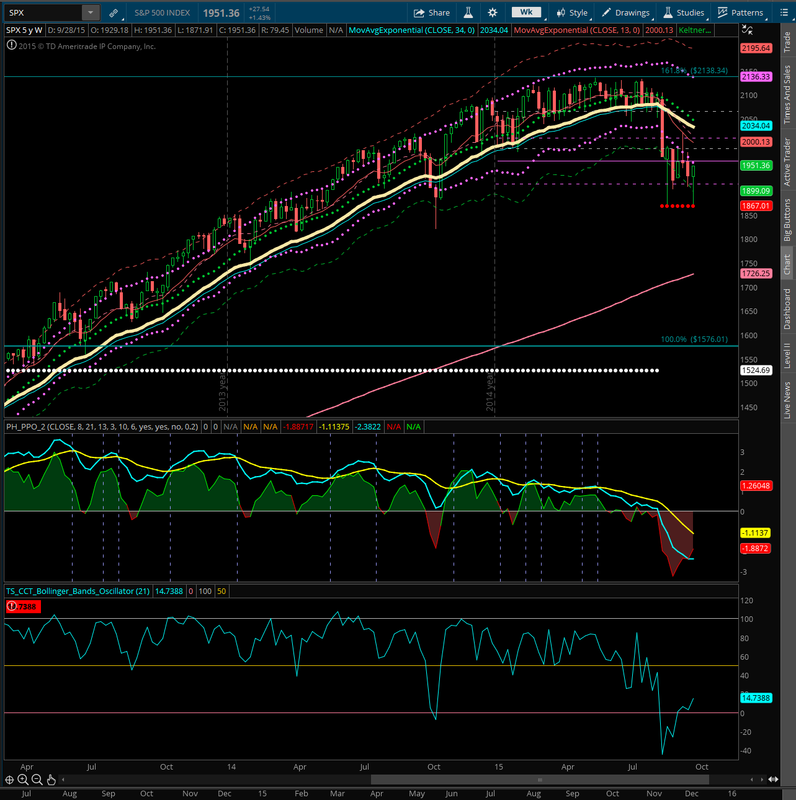 If 2037 becomes resistance, the market may retest 1943 while a continued rally could test 2133. 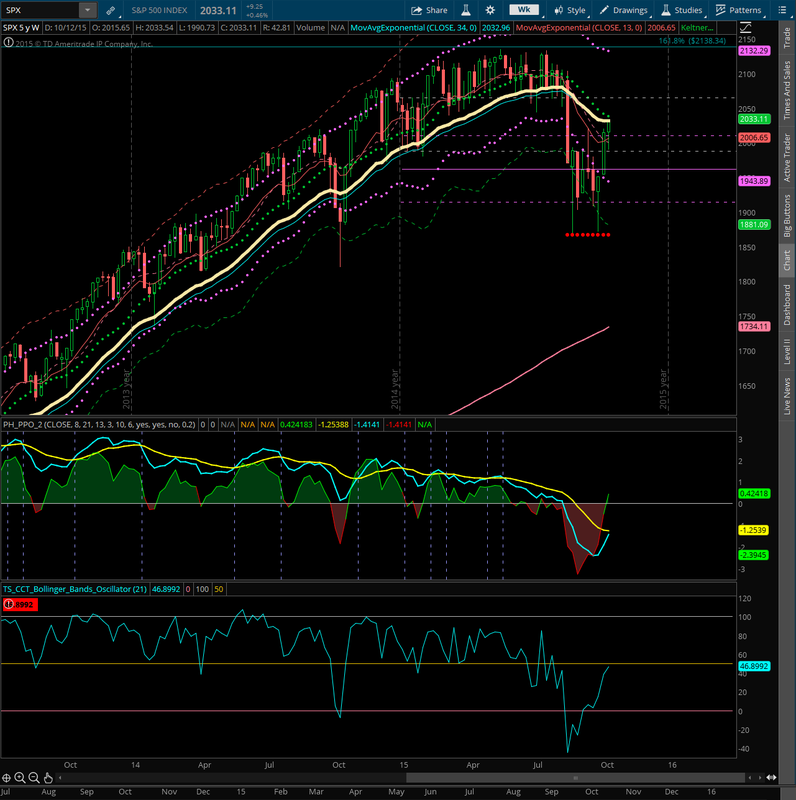 The S&P 500 monthly for September is showing another close in the lower Keltner channel near 1920. The latest bar is the start of the October monthly bar. September closed inside of the August range. A consolidation is taking place on a monthly basis that will determine whether the August sell off is a temporary pull back in the bull trend that’s lasted for the past 5 years or the start of a bear market. Consecutive closes under the lower Keltner line would signify the start of a bear market. 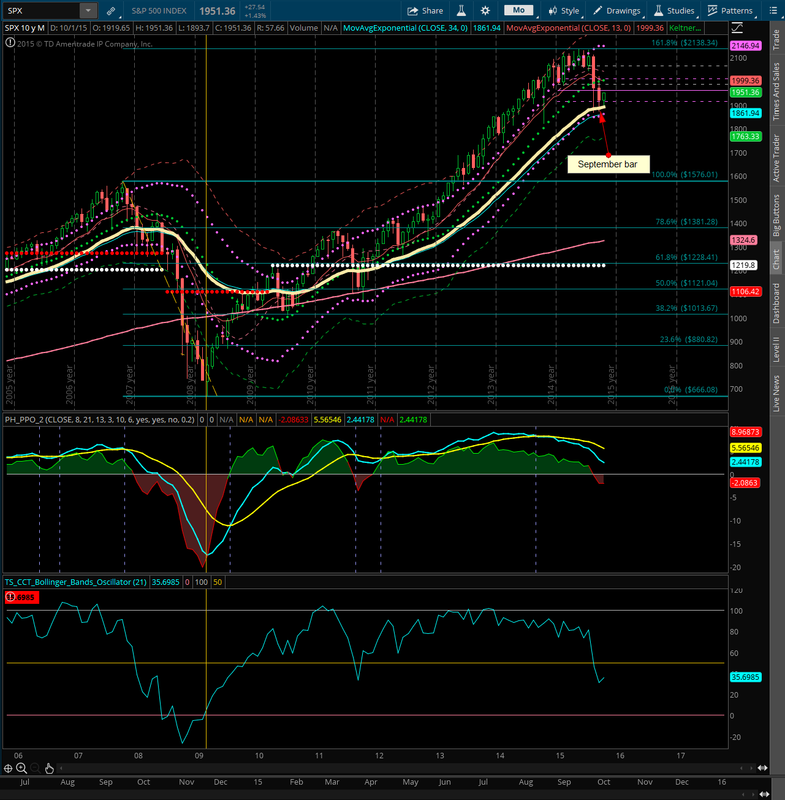 The S&P 500 weekly is showing a close right underneath the lower Keltner line near 1957. If the market can find support 1963, the market may retest 2031, while a sell off may retest lows again near 1867 or lower.